Today citizens of the United States go to the polls to elect their President. In that context it is interesting to look back at the key 1864 Presidential election, when the fundamental future direction of the country was at stake. 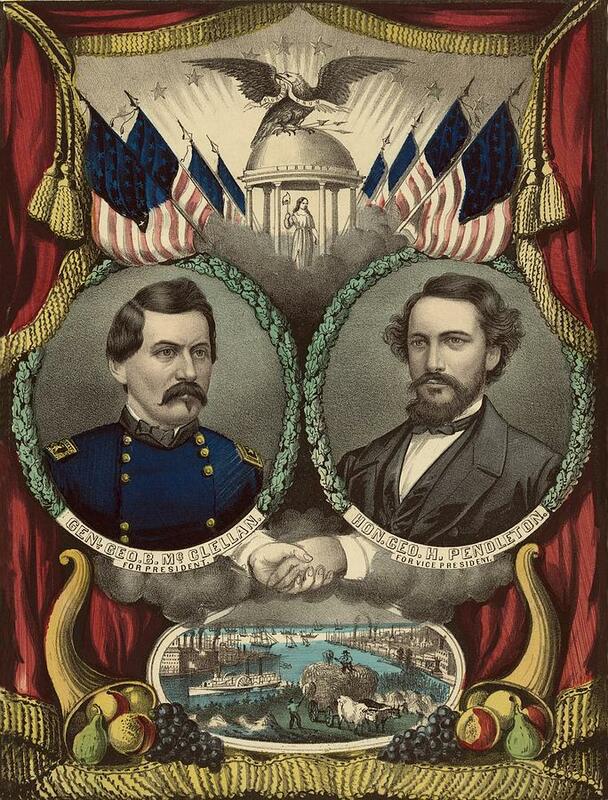 Republican incumbent President Abraham Lincoln was being challenged by Democratic candidate George McClellan, and for a long period it seemed that both a new regime and new approach to the war were inevitable. As voting day neared on 8th November, 1864, the New York Irish-American called on its readers to get out in force, and provided them with an unequivocal message- to remove Abraham Lincoln from office. We issue our paper this week in advance of the ordinary time, in order that we may be able once more to urge upon all our readers whom it may reach before the election, the paramount duty that devolves on them to do all that lies in their power, as citizens, exercising the privileges of the franchise to save their country from the dangers with which it is menaced, should the present Administration, unfortunately succeed, through force or fraud, in securing a second term of office. The party now in power have set the example of disregarding all written law, and every constitutional restriction that stood in the way of their fanatical schemes. The effect of such a policy upon society in all its relations is already becoming manifest, and we see around us, everywhere, unprincipled men ready to take advantage of a state of things that must inevitably end in the overthrow of all our institutions. So far has this gone, that we find Abolition partizans- unable to deny the wholesale swindling practiced upon the votes of the army and navy by the agents of the Administration- defending the expediency of a course so opposed to every Republican idea, and exulting in the prospect that, even by such nefarious means, their party may, in defiance of popular sentiment, secure four years more of the public plunder. Hitherto the laws of the Republic have been administered and obeyed, less from the consciousness that the government had the power necessary to enforce them, than from the spontaneous consent of the people, who as the masters of those who made the laws, felt that they had a controlling voice in the matter, and that in respecting their own enactments they were doing homage only to themselves. Mr. Lincoln’s administration has endeavored to substitute a government of force for that of right, and to replace the voluntary obedience of love by the subjection of fear. These are the first of the insidious approaches by which despotism ever seeks to win its way to absolute authority. If the American people, in this election, through default or weakness, entrust the management of their affairs to Mr. Lincoln, they place their liberties at the mercy of a party who have proved themselves already faithless to every trust reposed in them, and who can from their past policy, give no guaranty, that the immunity offered by a new term of office will not induce them to push their invasion of the rights of the people to the utmost extremes. In voting for General McClellan, on the contrary, the American people are giving their suffrages for one whose whole record indicates his devotion to the old traditions of the Republic- to the unity of the States, and the stability of those institutions, left us as constitutional guides and landmarks by the wise and patriotic men who laid the foundation of our national greatness. Let all, therefore, labor energetically to this end; and with the election of George B. McClellan we shall see fulfilled the promise of the restoration of peace and Union, and the re-establishment of that prosperity for the development of which the country is so admirably calculated by nature, and of which she can only be deprived by the perversity and malignant passions of unprincipled men. 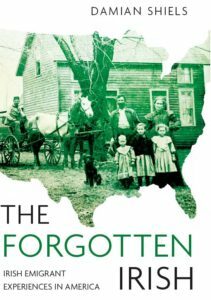 Businessmen and Power Brokers controlled political machines throughout the Northern states during the civil war. They maintained their sway over government with pools of immigrant voters in the cramped and crowded population centers of the region. The newspapers were influenced or owned by these powerful individuals and dictated whatever common thread benefited the desires of these elite. Not much has changed to this day. The media disseminates whatever line is in the best interest of the power and business machine and the brokers manipulate the population centers and the voter pools. The candidates for office often suffer from the political propaganda and sacrifice their ethics and principles in order to gain favor.